Published early November in the International Journal of Cancer, the study on dietary isoflavones has since received widespread media attention. Dr. Zhang and colleagues analyzed the data of 27,004 men who were part of the Prostate, Lung, Colorectal, and Ovarian (PLCO) Cancer Screening Trial to find out whether dietary isoflavones influence the risk of prostate cancer. During a median follow up of 11.5 years, 2,598 cases of prostate cancer (including 287 advanced cases) were identified among those 27,004 men. While further studies are necessary, their findings suggest that including soy and other foods rich in isoflavones in the diet may affect men’s risk of prostate cancer. 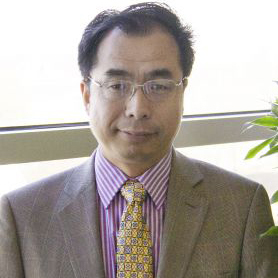 Dr. Zhang believes the study is making such an impact because it is the first to report that dietary intake of some isoflavones is associated with an elevated risk of advanced prostate cancer, but not non-advanced disease. In addition to being featured in the Medical News Today article: Soy May Raise Risk of Advanced Prostate Cancer, Dr. Zhang’s study has been featured in Wiley’s Research Headlines, UK Daily Express Online, Men’s Health, NewsMaxHealth, and NUTRA Ingredients.